Hi! 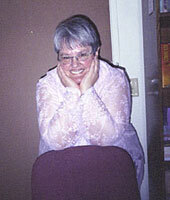 I’m Darlene Franklin, and I write historical and contemporary romance. While I'm at it, I'll give a shout out to Abraham Lincoln and my mother who share this birthday. You might call me a bipolar writer. I grew up in New England, but have chosen to make my home in the west. Colorado’s mountains drew me west but grandkids got me to Oklahoma. My books reflect that bipolar (maybe bi-regional?) background. Of my twenty-five books, thirteen of them are set in Western states: Colorado, Kansas, Oklahoma, Texas. Eight of them are in New England, with more coming. I never expected to write historical fiction at all, although I loved to read it. But after my first book came out, I was invited to write a novella set in during a 1913 Colorado blizzard. After I “suffered” for my art by staying at the Brown Palace Hotel (the setting of my story) and uncovered a tidbit about elephants helping to clear the streets after the blizzard (true story! ), I was hooked on research. Not only that, the story (Dressed in Scarlet in Snowbound Colorado Christmas) went on to final in the Book of the Year contest sponsored American Christian Fiction Writers for the novella. My initial success has led to a passion for hunting those fascinating, unbelievable, and just plain weird tidbits of history that beg for stories. 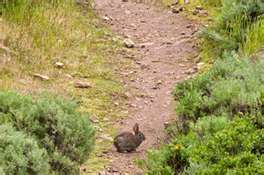 I look forward to sharing my favorite rabbit trails with you. Hi Darlene, I remember your first historical novella I loved the whole book the idea of the story. Still can remember it quite well. I love finding those interesting tidbits of history too. I think my favorite so far was discovering the story of the Marquis De Mores, a wealthy French aristocrat who came to America, woed a high society New Yorker and married her, then later moved to the wilds of North Dakota with a vision of shipping butchered beef back east. To that date (1883) only live cattle had been shipped east. He started the tiny town of Medora, named after his wife, and it's still in existence, as is the 26 room Chalet he built and lived in. Super cool little town. Wow, I love that tidbit, Vickie! Jenny, I have enjoyed getting to know you through the years! Thanks to both of you for stopping by. Hi, Darlene, I'm a tidbitter too. That's the joy in research. Jerry and I recently moved to Chimney Rock, Colorado. When I discovered that the Chimney Rock school had been in my east cow pasture, I was elated. Now, I researching our deed history and looking for a picture of the school. There's a story amongst those pocket gopher holes, for sure! Linda, Pat, I wrote a response . . . that disappeared. I must have forgotten to hit publish! Thanks for stopping by! Thank you for your entry today Darlene, love hearing from you! Hi Darlene, I have not read your stories but the story of research about elephants helping with blizzard getting you started into more of it, I think I will be looking for them. you sound like a wonderful author and certainly well traveled. I am really enjoying meeting folks on this new site, I am a historical romance reader first but do read others also as I love to read. Those bunny trails...and elephant paths...can sure take a writer on some interesting adventures. You have a knack for finding them and your curiosity sure leads to some wonderful story lines. You are a master at that! Darlene, I love that tidbit about the elephants. I feel a bit bipolar at times too. I can't wait to hear more about your stories. Christina, great to meet you! Thanks for stopping by. Darlene, I absolutely LOVE those crazy little historical facts that lead to a story! And my brother was born on Lincoln's birthday too! Ooh you have rabbits, too!? I'm in love with my marsh rabbits! Just being five feet away from a curious marsh rabbit nibbling on his salad is enough to melt my heart! I've had to become symbiotically able to take photographs now! !